The 2011 MTV Movie Awards is one of the more, let’s say, carefree award shows during the year. Jokes and pranks are in abundance as stars let loose to enjoy a night of silly skits, musical performances and comedic presentations. This year, the show was hosted by SNL veteran Jason Sudeikis, and judging by the rave reviews, he blew the audience and viewers away. As expected, the majority of the fan-based awards were swept up by Twilight’s infamous cast, but a few others—like Justin Bieber, Ellen Page and Emma Stone—squeezed in a couple accolades. As with any award show (especially when it’s hosted by MTV) red carpet fashion is one of the main attractions. Most celebs took advantage of the light-hearted mood and showed off their A-list style in sparkling mini dresses, colorful blazers, relaxed suits and, as always, enviable eyewear. Sultry shades showed face on the red carpet and during performances throughout the show. 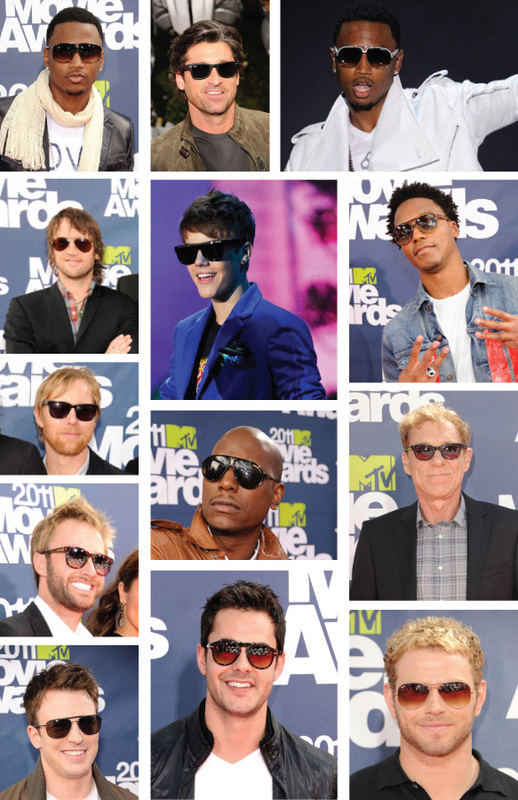 Aviators and wayfarers with alluring details were top choices among celebs. Bold brow bars, keyhole bridges, gradient lenses, blacked out lenses and flat tops upped the ante on these classic styles. 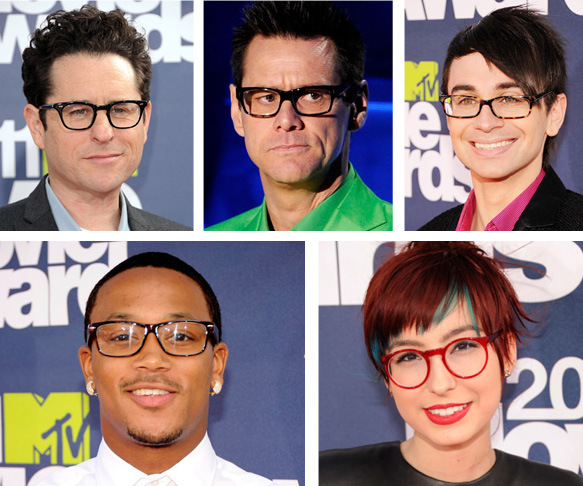 Geek chic remained all the rage when it came to optical frames. Chunky plastics in rectangular, round and square shapes made these stars step out from the crowd. Keyhole bridges were also a hit in these spexy styles.